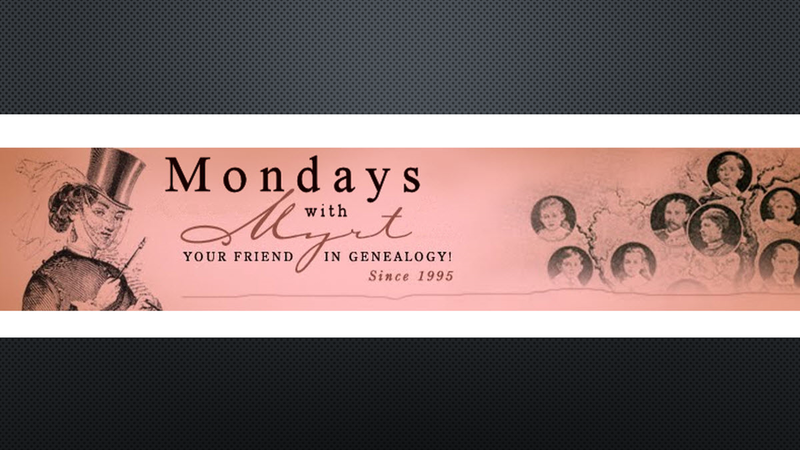 Join your friend in genealogy, DearMYRTLE for Mondays with Myrt. It's a 90-minute Hangout on Air with a panel of ten discussing what's trending in the world of #Genealogy. Practical, down-to-earth advice for family historians. Cousin Russ will be on hand to weave your comments into the conversation. It Isn't as Easy as it Looks!